Isaac Tajtelbaum, a young man in Poland during World War II, witnessed numerous synagogues being burned down by the Nazis. On one occasion he tragically observed how the Nazis forced Jews to tear down a brick synagogue with their hands, as it was unable to be burnt. At that point, Isaac pledged that if he were to survive the War he would dedicate his life to building synagogues and Jewish study halls. The new study hall in Oxford - Beit Hamidrash – is to be called the ‘Tajtelbaum Jewish study hall’ after Mr. Isaac Tajtelbaum OBM, who passed away a few years ago, and whose son Mr. Mendel Tajtelbaum (London), the benefactor, continues his father’s legacy today. The ‘Tajtelbaum Jewish study hall’ is located at the Slager Jewish student centre, 61 George St, and is open daily for private Jewish study and scheduled classes, lectures and seminars. The ‘Tajtelbaum Jewish study hall’ compliments the Samson Judaica library at the Slager Jewish student centre, allowing those who wish to study to utilise the resource of the 3,000 volumes in the library, including many works of traditional Jewish study. Take a coffee, some biscuits, maybe a friend or two and a book - on Torah, Ethics, Talmud, Midrash or Jewish Thought - and spend some time studying in the Oxford Beit Midrash, a warm and relaxing environment where you can study about Judaism at your own pace. 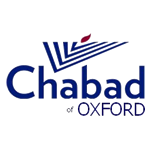 For more information about the Tajtelbaum Jewish Study Hall please email info@oxfordchabad.org or call 01865 204 757 / 200 158.